As an 18 year member of Association of REALTORS – top 8% of Realtors Internationally, Lisa exhibits qualifications that separate her from the average realtor. She has an outstanding ability to make those around her feel special. She’s the kind of person you can turn to with confidence. Although Lisa has worked with celebrity clients, she greets each client with warmth and leaves them knowing that their interests will be handled professionally. 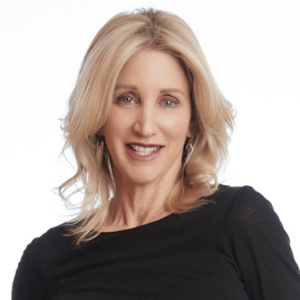 Lisa’s expertise with real estate centers in Beverly Hills, the Westside to downtown, Malibu as well as into the Valley. Her dedication is unwavering and her business practice is both graceful and of the highest ethical standards. In honor of these ethical practices, Lisa has been awarded certification in Legal and Ethical Standards and Business Practices. Lisa contributes a portion of her proceeds from every sale to the company’s Community Foundation for which she has been recognized for her extraordinary service. She is a proud member of the Compass family and specializes in finding buyers residential & income properties in greater Los Angeles. Lisa has always been involved in her community. She has three children who have all been educated in the Beverly Hills Public School system and has been an active member of the Beverly Hills Education Foundation for over ten years. When you take the time to meet with Lisa, you will understand why clients put their trust in her extraordinary practices.